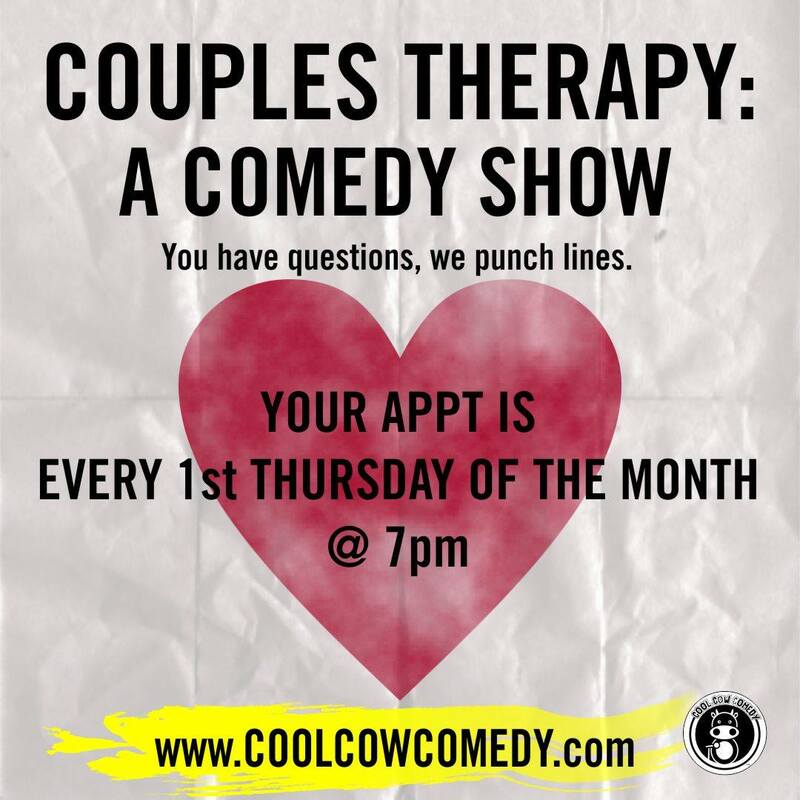 Couples Therapy: A Comedy Show The FIRST THURSDAY of the month is your scheduled appointment to laugh with Rahmein Mostafavi and a host of guest comic “therapists” that will assist all you lovers out there with you relationship issues. Whether you are dating, married, divorced, or just single and hopeful, this show has got you covered. Is he leaving dirty socks around the house? Is she spending too much time on her phone and ignoring you? Did one of you vote for the other candidate? Let’s figure it out together. For better or worse, this cast of comic therapists will have you in tears…one way or another!